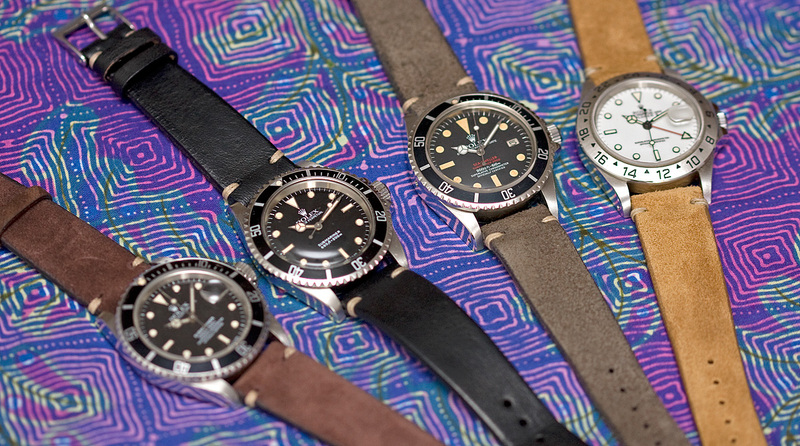 We’re proud to announce the opening of our on-line store, with an exclusive selection of watch straps available. 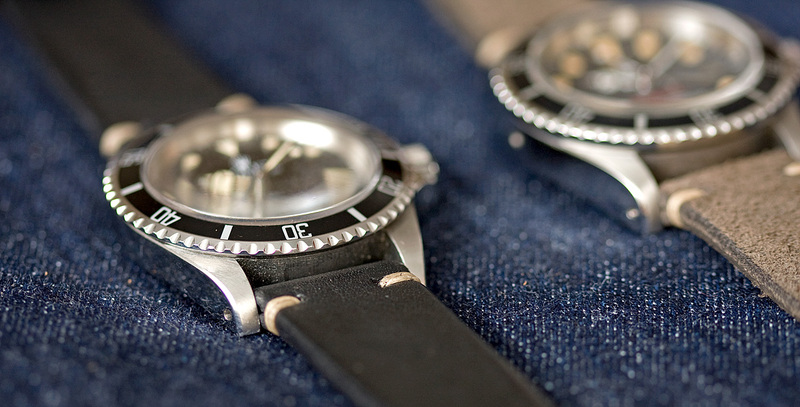 These are made by hand in Italy, with the nuance and style that only Italian craftsmanship can offer. 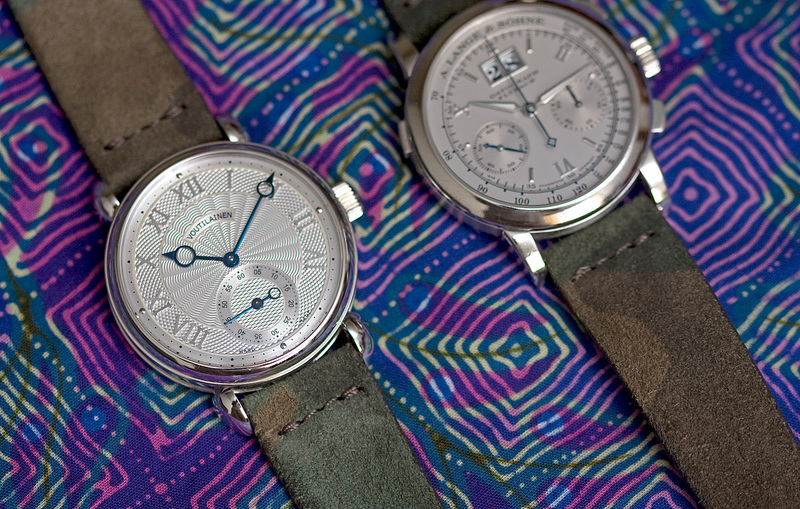 Made near Florence by a talented artisan, Jean-Paul Menicucci, the straps are wonderfully detailed, with a flair that is distinctly Italian. 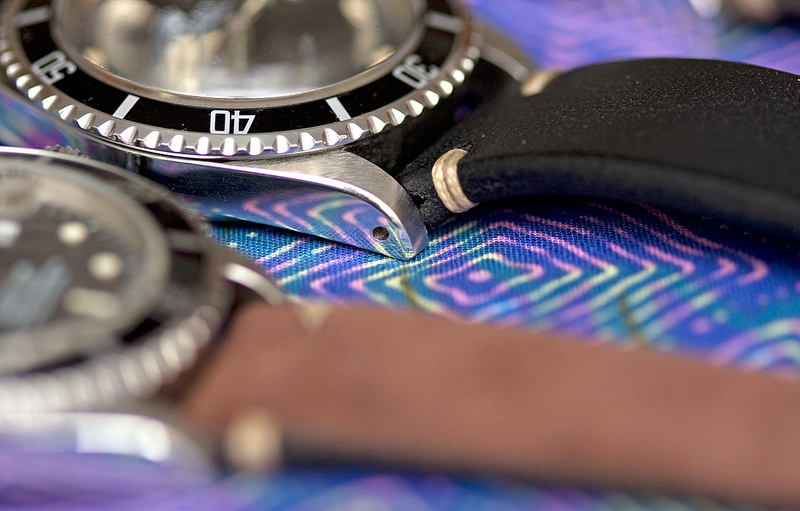 Each strap is cut, stitched and finished by hand. 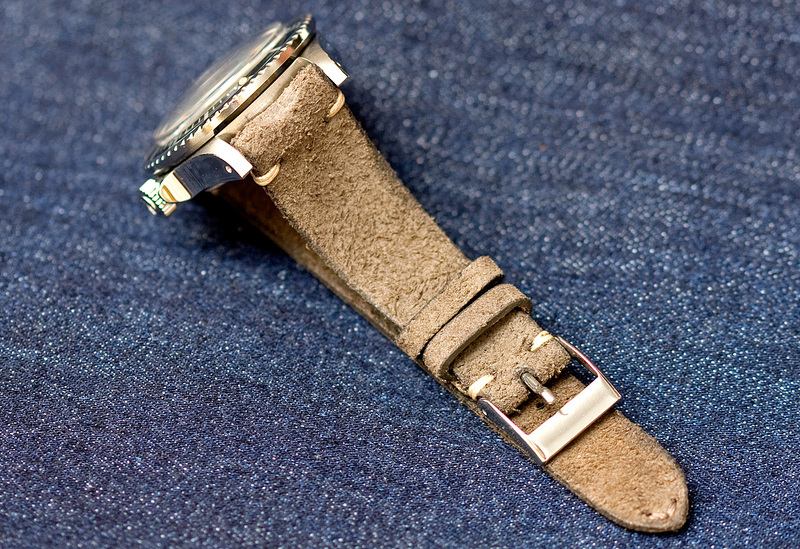 Jean-Paul is paradoxically the least known yet most famous strap maker in the business. 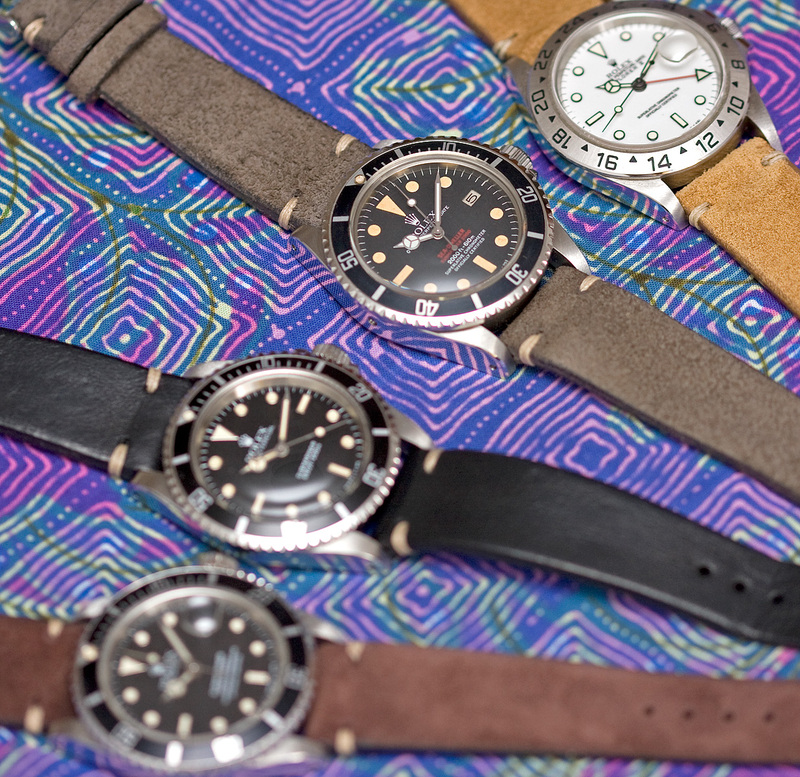 His products can be found at retailers, vintage dealers and even on superstar watches at auctions. 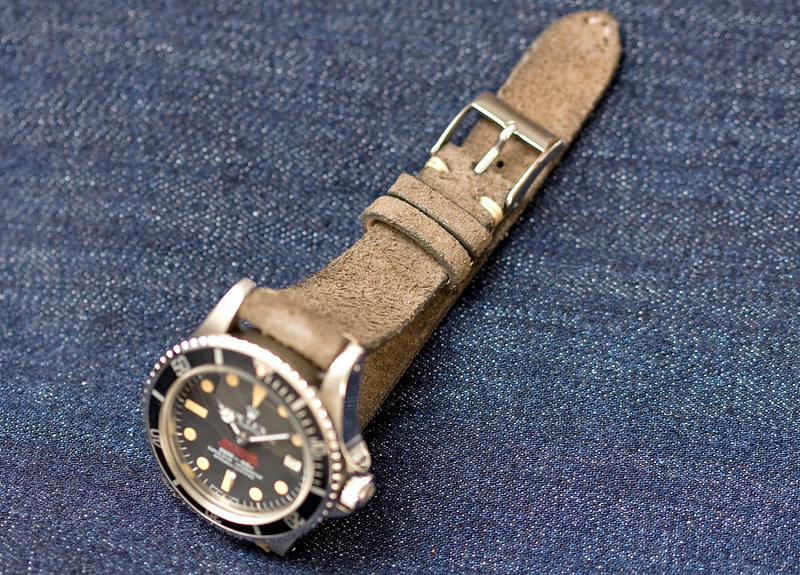 If you come across a strap like these, he most likely made them. 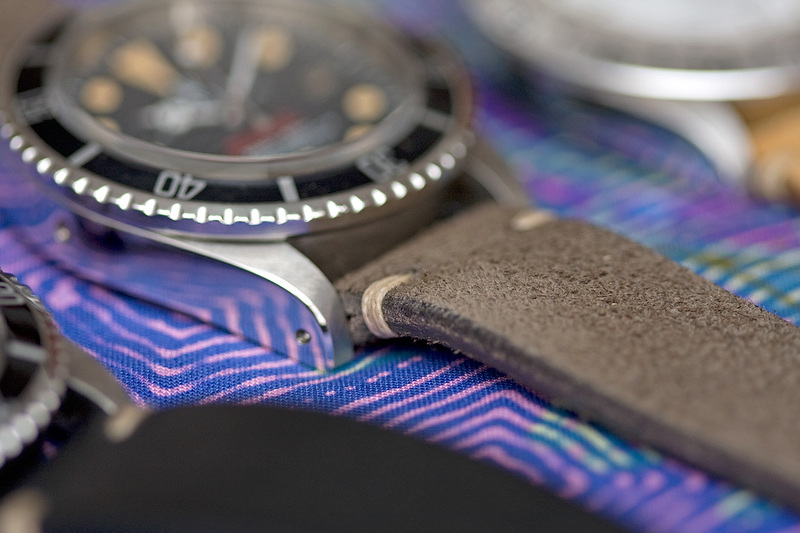 We’re proud to be working with him. 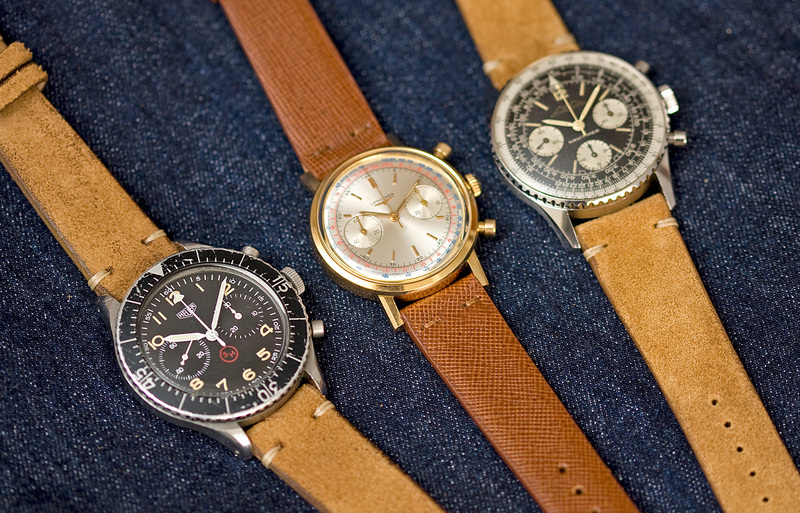 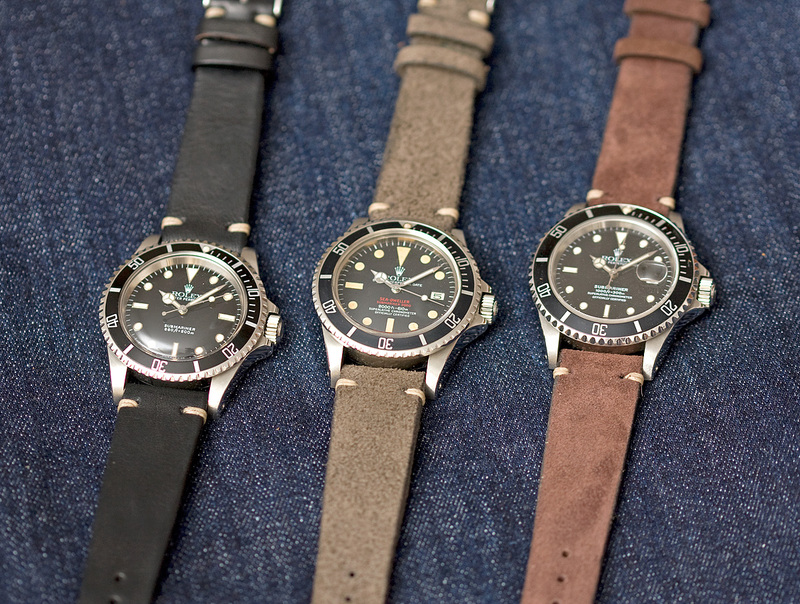 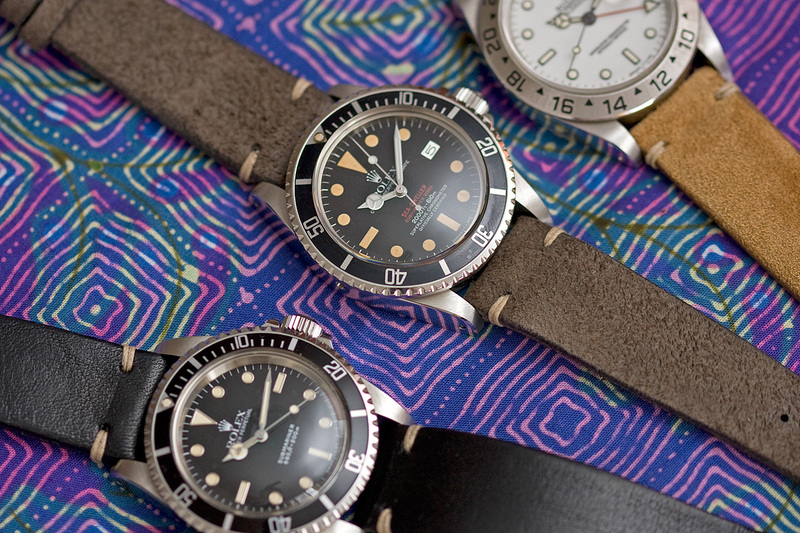 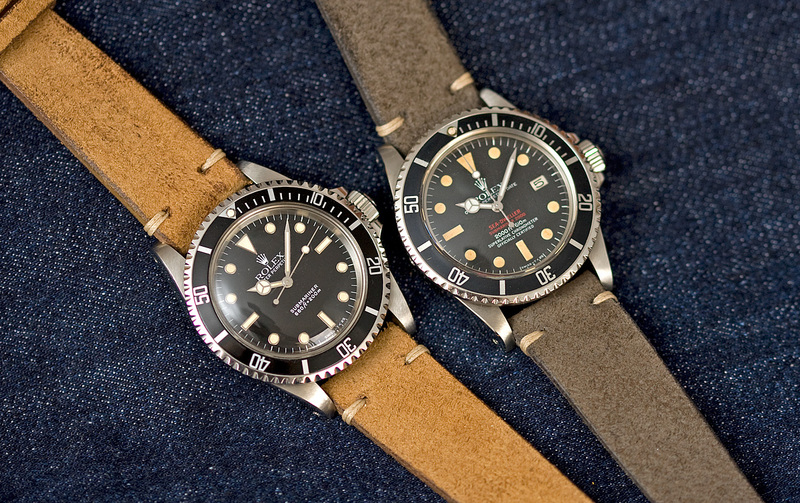 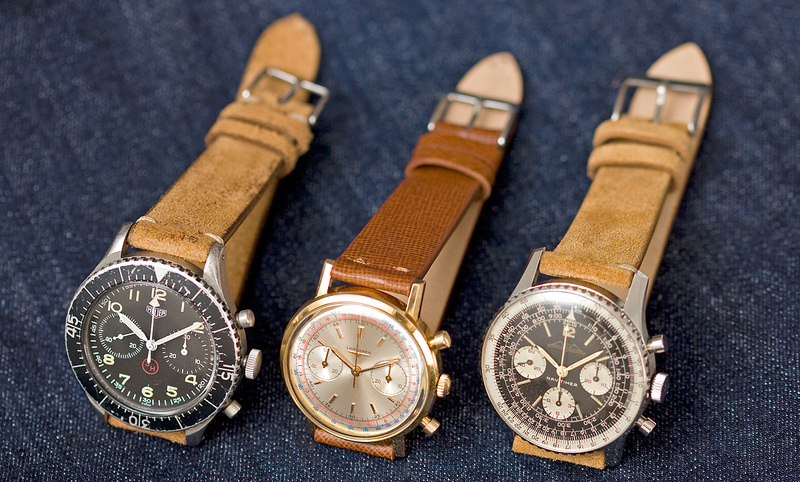 With their vintage style they fit perfectly on watches with a patina, but they work on contemporary timepieces as well. 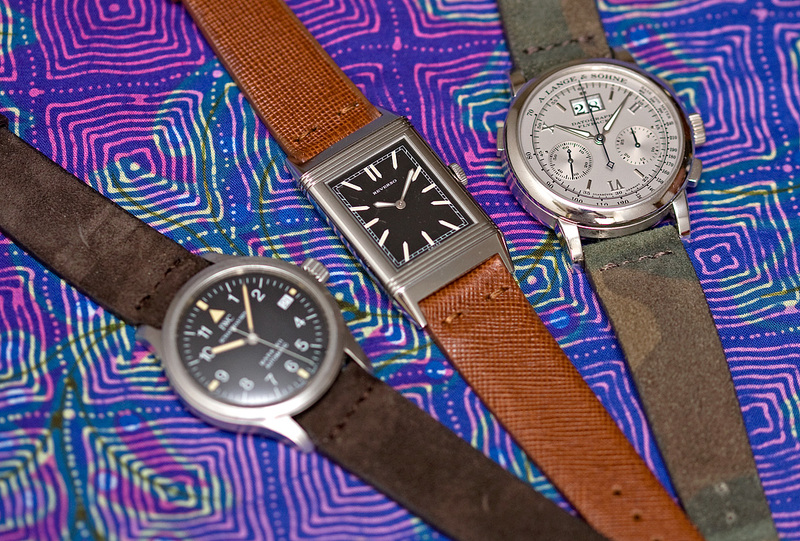 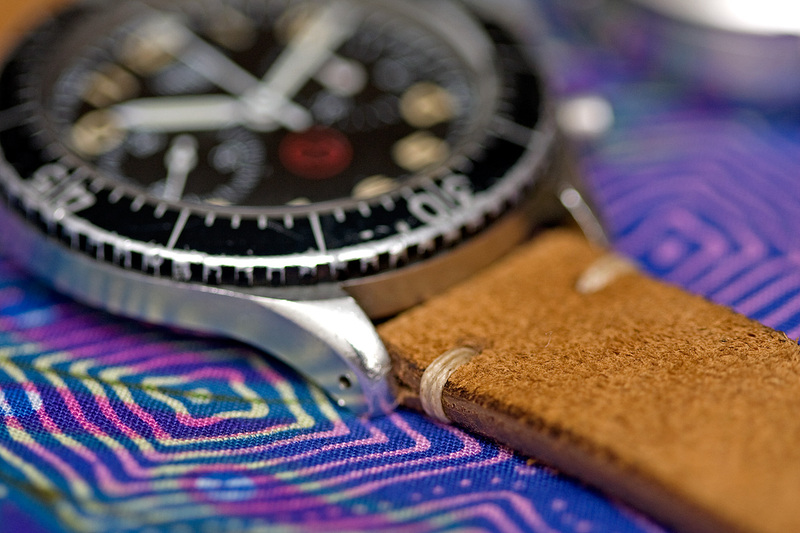 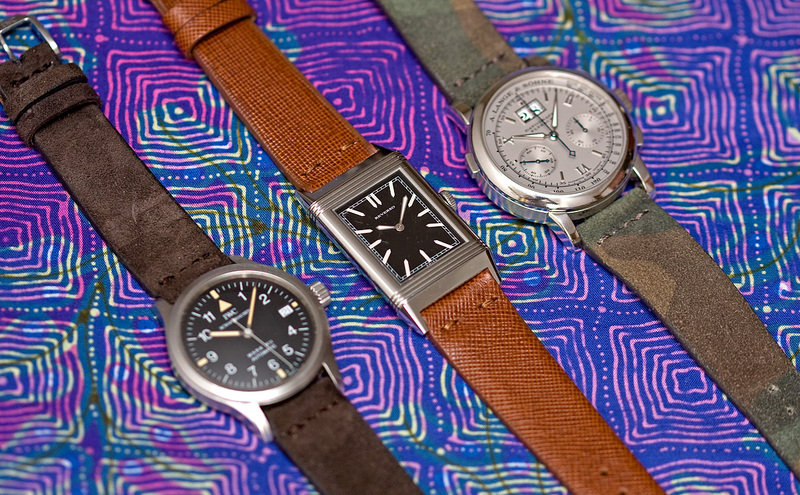 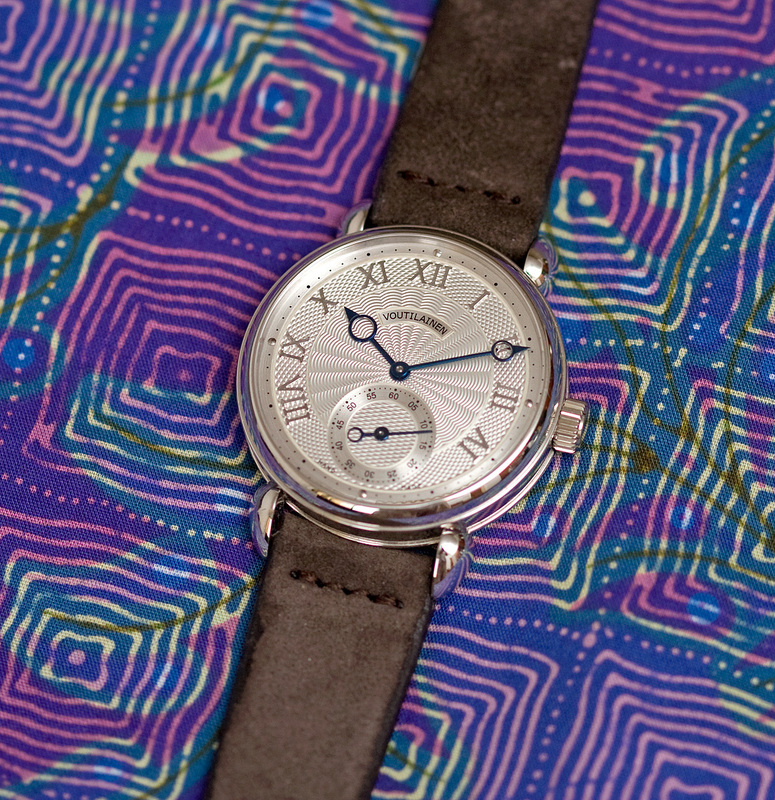 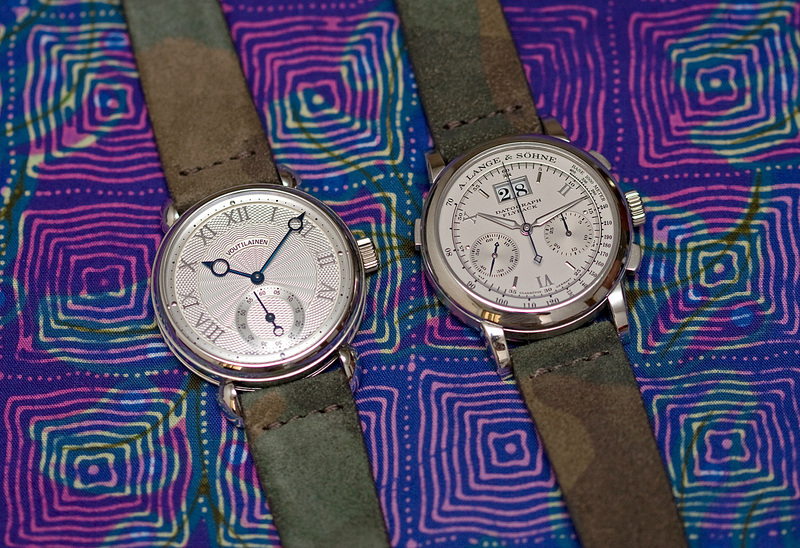 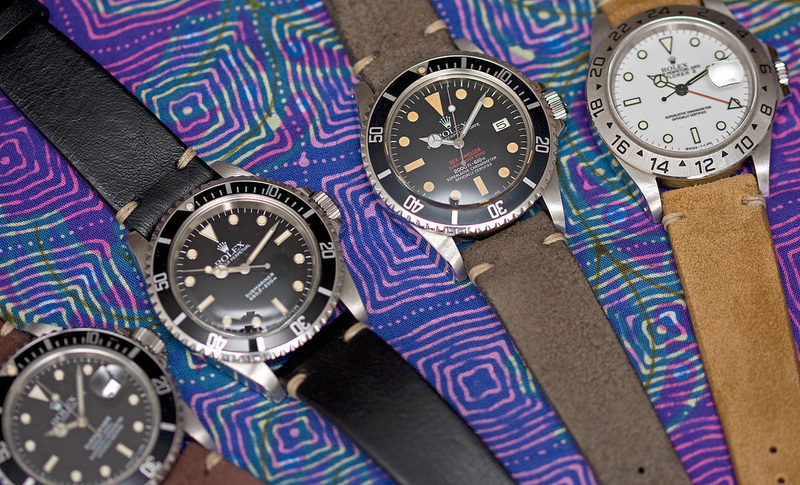 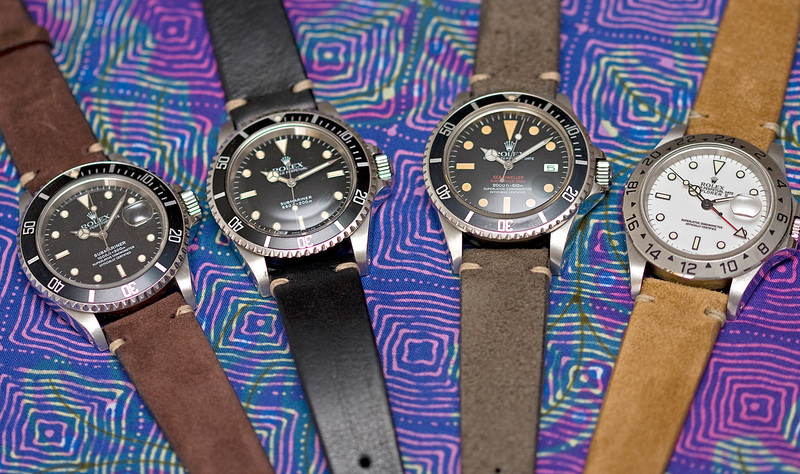 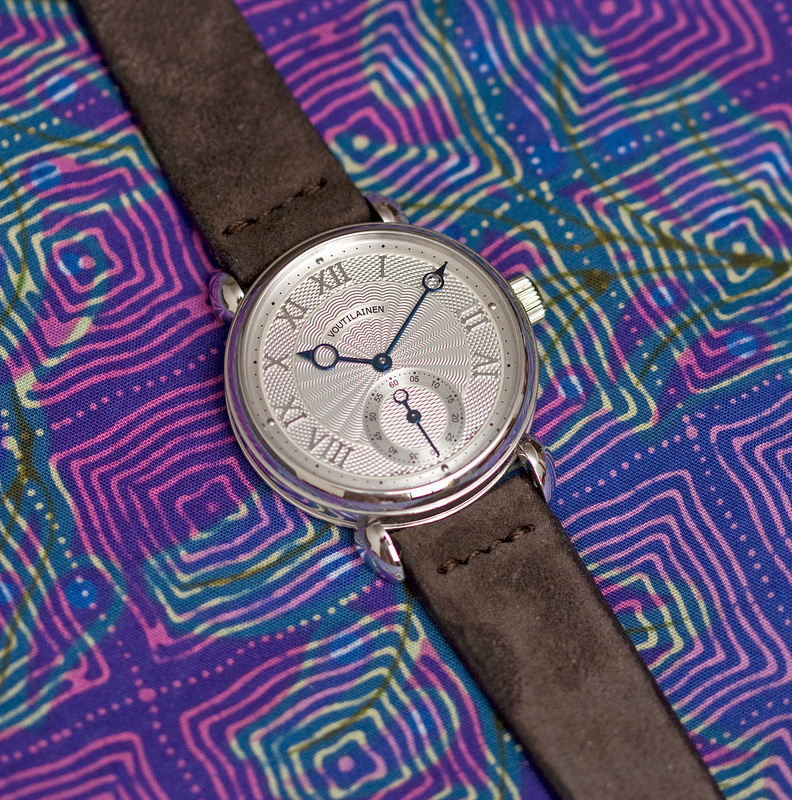 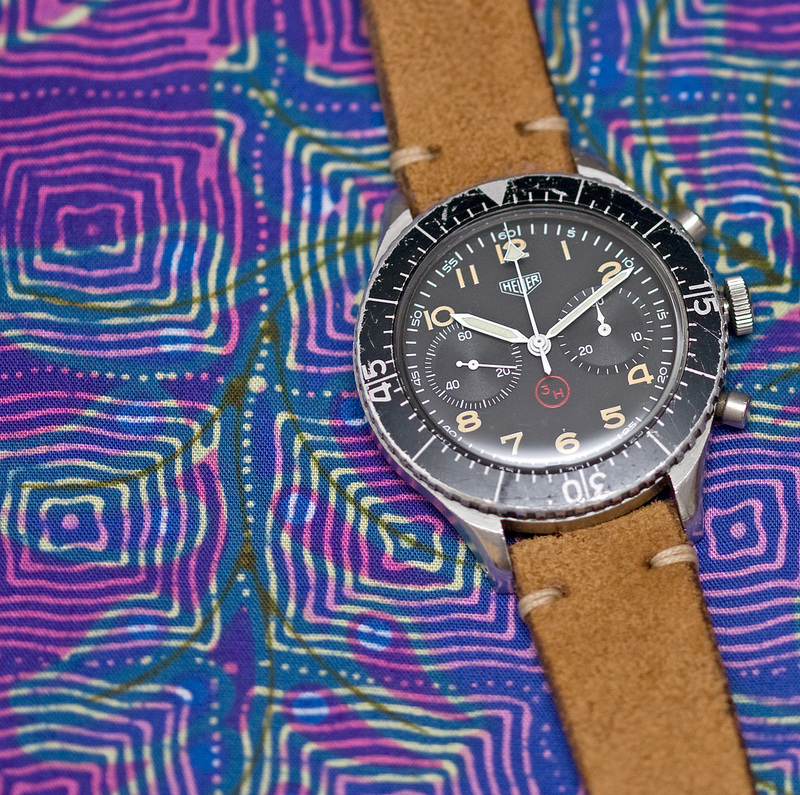 Here’s a sampling of how they look on various watches, on a one-of-a-kind, hand-byed Indonesian batik fabric. 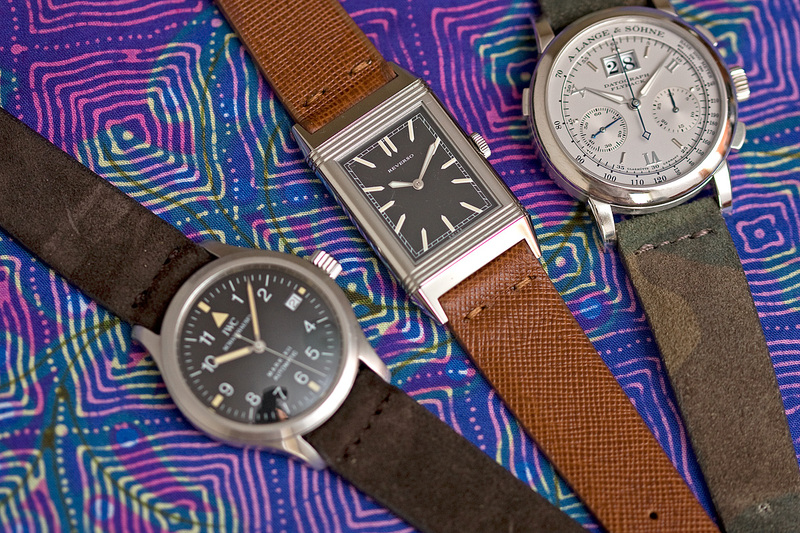 And here’s proof that they work on modern timepieces. 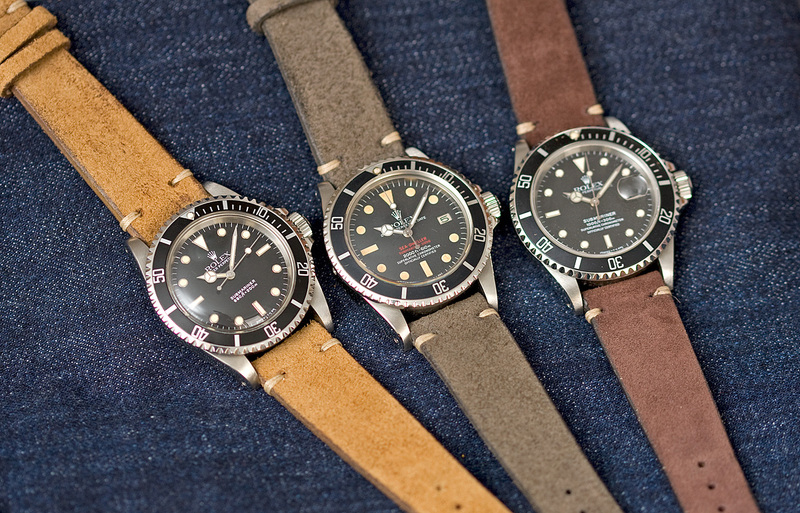 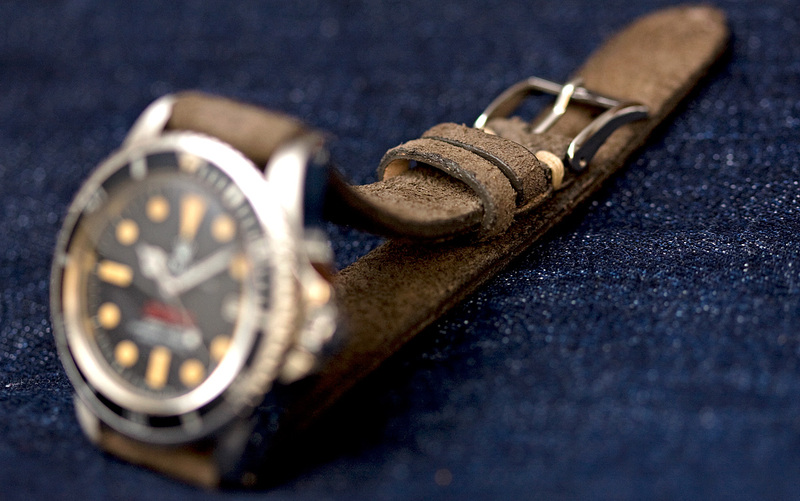 Our straps are available in a variety of colours and finishes. 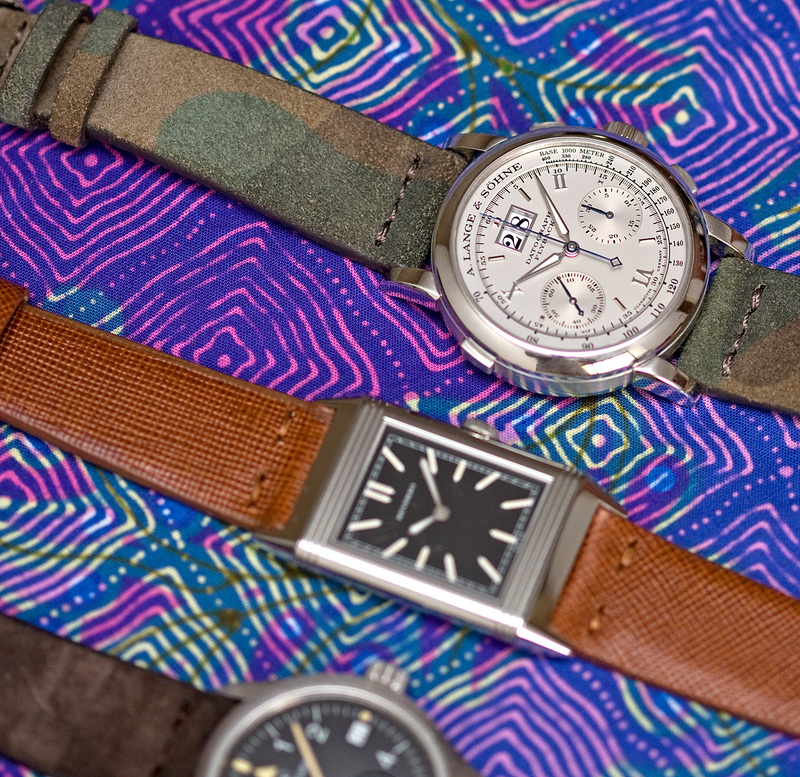 See the full selection in our store.